THE GIANT CLASSIC IS HERE!!!! We are anticipating great things for this year's tournament season! With our league growing to over 200 players we want to see what the area competition has to offer! Ben Davis High School will be serving as the venue. Home of the 2017 Class ISHAA State Champs. We have the best venue for games, scores, concessions and over all player and parent participation. 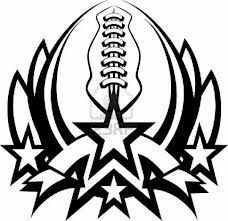 This tournament will be for football teams and players in the 2nd, 3rd, 4th, 5th and 6th grade divisions. Early Registration $150 per team $125 for each additional until September 30, 2018. If you would like to receive additional information regarding the GIANT Classic tournament or need tournament registrations packets please do not hesitate to email bdcfatournaments@gmail.com and the tournament coordinator will contact you to provide more detailed information or answer any particular concerns or questions you may have. Also, feel free to check out our website www.bdcfa.com. Updates about the league happen daily. Trust us you WANT to play in this tournament. Hope to hear from your soon! To register for the tournament, Click on the registration link fill out our registration packet and send it to our tournament coordinator via email or USPS.